Over eating can be expensive in more ways than one. You pay more money for the extra food that you eat. After that, you’ll be paying money trying to lose weight – joining exercise clubs, buying diet books and tapes etc. When you fall sick due to over eating – excess food start taking their toll on your health, you pay more when you see doctor. Being overweight will lead to health problems sooner or later. So watch your diet. It is not only cheaper but will keep you slim and trim. Most important of all – you remain in good health. Fish is a top source of omega-3 fatty acids that helps to reduce blood pressure. But what if you simply don’t like fish? There are other foods that contains alpha-linolenic acid, a substance that your body converts into omega-3. Foods that contain alpha-linolenic acid are walnuts, tofu, flaxseeds and soybean oils. If you do substitue eating fish with those foods, your omega-3 levels in your body is only 10% lower compare to others who eat fish. Seaweed – What It Does? 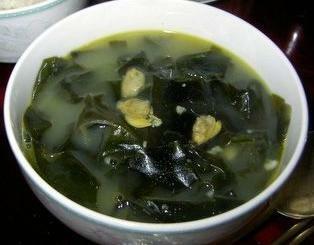 Seaweed is commonly used in Asian soups and salads. 1. It stimulates a protein called UCP1. This unique protein encourages thermogenesis – the conversion of body fat into heat. 2. It stimulates the production of docosahexanoic acid (DHA) in the liver. This essential omega-3 fatty acid improves blood sugar balance, reducing the body’s storage of fat. Simply try eating fresh meats, vegetables and fruits instead of munching down factory procuded foods. 1. Your body will feel good because it process less chemical from the processed foods. 2. You’re so healthy that you will be saving big bucks on doctors’ bills and other medical costs. 4. You indirectly supporting the local farmers in your states. You feel the dirreferences when you start to switch to organic foods.